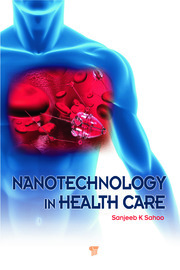 This book presents an overview of the current state of research in the field of nanotechnologies and biotechnologies for energy, environment, electronics, and health, as emerging from leading laboratories worldwide. 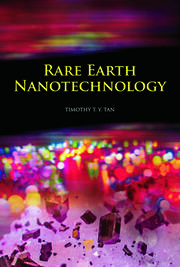 It presents and describes in detail the recent research results in the most advanced nanobiotechnology-based methods and their possible applications to energy, environment, electronics, and public health. 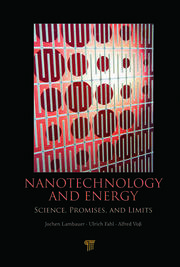 The methods discussed in the book include anodic porous alumina, nanotubes, conductive polymers, molecular dynamics, innovative software, nanomembranes, lipases, octopus rhodopsin, chromosome translocation, pulsed power, nanotechnology, megatechnologies, mass spectrometry, and protein array. 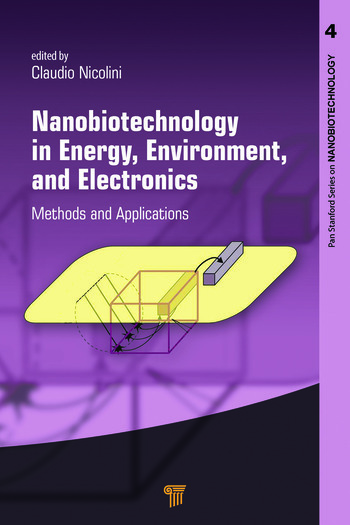 The applications discussed include nanobioelectronics, nanosensors, nanodevices, gas, environment, energy, industrial biofermentation, health, vaccinology, biodiesel production, Earth’s interior, and metals. The book focuses on an array of applications to highlight important aspects of this interdisciplinary approach, underpinning the present challenges and showing the future potential solutions. Claudio Nicolini is life president of the Nanoworld Institute Fondazione EL.B.A., a foreign member of the Russian Academy of Sciences, honoris causa professor at Moscow State University, and editor-in-chief of the NanoWorld journal in Santa Clara (California, USA). He was chair of biophysics at Temple University (USA) and Genova University (Italy), chief editor of Cell Biophysics, science and technology advisor to the Italian prime minister, a member of the National Science and Technology Council Parliament, director of Industrial Consortia CIREF and Technobiochip, and president of Polo Nazionale Bioelettronica and Science-Technology Park of Elba Island. Dr. Nicolini has received several awards and prizes, authored 540 scientific publications (h-index > 42) and 30 books, and has 35 patents to his credit. His main scientific activities are focused on cancer research, biophysics, bioelectronics, biotechnology, and nanotechnology.